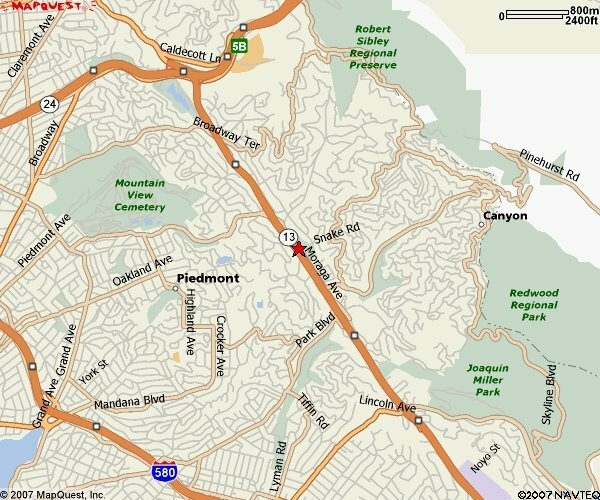 Montclair Park in Oakland, California, is just off the Warren Freeway (State Highway 13) in the Oakland Hills. You can use this map to find Doug's bench; it's on the top of the park's highest point, overlooking the basketball area. The star marks the spot!